Will the Real Shamrock Please Stand Up? Wearing of the green and shamrocks on St. Patrick's Day are Irish traditions, however there's quite a bit of confusion as to which plant is actually the shamrock. On March 17th, St. Patrick's Day we honor our Irish roots. Even those of us who can't claim any Irish ancestors celebrate the day. We wear our green clothes, drink our green beer and everything seems to have a shamrock pinned or pasted to it. In reality, over 32 million people in the United States and over 80 million people worldwide can claim Irish roots, however most of us do not know the history of the holiday or can recognize an actual shamrock plant. Legend has it that St. Patrick preached to convert the Irish to Christianity in the 5th Century. It is said that he used the shamrock to explain the Holy Trinity, since it had three leaves attached to a single stem. This wasn't a new practice. Priests used existing emblems and holy days to make the transition to their faith easier and the shamrock was sacred to the druids long before he set foot on the island. Not only was the shamrock sacred to the Irish, the number three was as well and old Celtic artwork and symbols were often depicted with three sides or three faces. The trouble is, no one can decide which plant is actually the historical shamrock. The name shamrock is a modern pronunciation of the old Irish word seamróg and that word simply means little plant, or young plant. General consensus agrees that it is either plants of the Trifolium genus or plants from the Oxalis genus. Linnaeus, who was the father of modern botany claimed that the genus, Trifolium was the actual shamrock, specifically Trifolium pratense, shown in the above image. This is commonly known as field clover and the blooms are either dark pink or white. It is native to Europe and western Asia, however this plant was only introduced to Ireland in the 17th Century, so St. Patrick would not have had access to it during his missionary time. It is common throughout the world now and has naturalized in many countries, including Ireland. Trifoliun pratense is edible for humans and animals and that may be why Linnaeus gave it his blessing. Legend has it that the Irish ate their shamrocks and used both the leaves and the flowers in medicine and flavorings, as well as it being sacred. 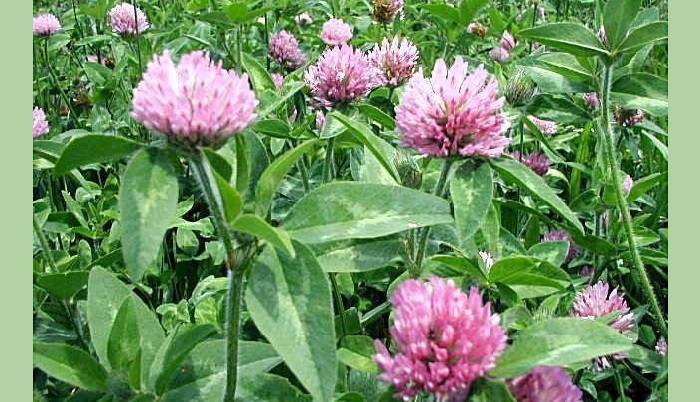 In reality, most of the Trifolium genus is edible. 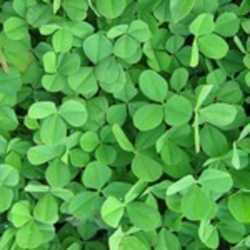 A more accurate shamrock candidate would be Trifolium repens. Commonly known as white clover or Dutch clover, this plant is native to Europe and more importantly, Great Britain and Ireland. The image above and the header image are both Trifolium repens. White clover, like its cousin field clover has naturalized throughout the world and can be found in sunny pastures, parks, golf courses and homeowner's lawns. It is a tough little perennial that creeps along the ground with runners that put down roots every few inches. In fact, its species name repens is Latin for creeps or creeping. All parts are edible, however the blossoms are most often used to make a tasty herbal tea when dried. The leaves can be added to smoothies and salads as well. This clover and the field clover are attractive to honeybees (which are also a European natives) and the nectar and pollen makes for a wonderful honey. 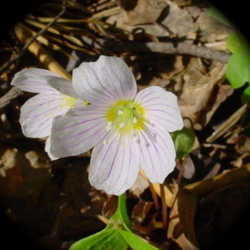 Oxalis acetosella (shown above) is another possible shamrock. It is native to most of the Northern Hemisphere and especially northern Europe. It would be a plant known in Ireland at the time of St. Patrick. It was often used to season food because of its sour flavor, so that would be in keeping with the legend that shamrocks were eaten. The Latin name even reflects this, as oxys means sour and acetosella is a term for vinegar. It favors the edges of woodland areas and partial shade. This is one of the common 'shamrocks' often sold for decoration around St. Patrick's day. Instead of traditional roots, it grows from a bulb, so if it dies back from lack of water, a good drink will spring it back to life. Oxalis triangularis (green form seen above and purpurea form seen below) is probably the most common plant sold as a shamrock this time of year, however, it is impossible for this plant to have been St. Patrick's shamrock, since it is native to Brazil. 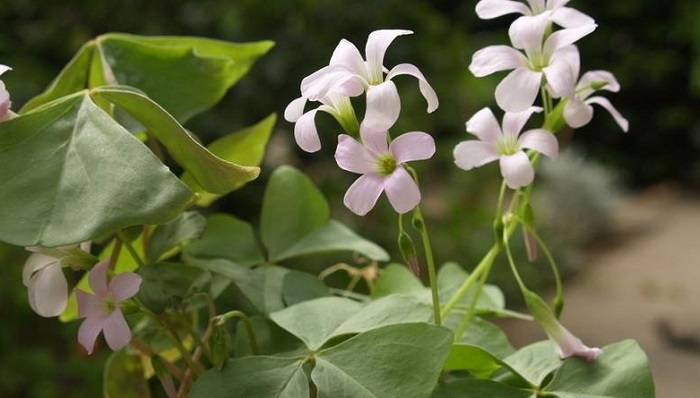 It is a member of the Oxalis family and has the required three part leaves and sour taste, however this is as close to the real shamrock as it is ever going to get. This plant is popular with gardeners in areas with winter temperatures that do not go below 30 degrees Fahrenheit for outdoor landscaping and it is also popular with people who love houseplants. Outdoors, it prefers well-drained soil and dappled shade. Indoors, give it bright light, but not direct sun. Often called the false shamrock in botanical circles, this plant goes through a dormant phase for a couple months each year. The higher the temperatures, the faster this will happen because O. triangularis likes cool conditions and temperatures in the 70 degree Fahrenheit range. When the plant goes dormant, cut the foliage to the ground. This will make the plant much more attractive when the new leaves appear. 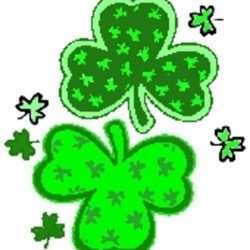 Regardless which shamrock you choose, enjoy the day. My roots are Scots and Irish with a little Iberian Peninsula thrown in for good measure. I'm proud of my ancestors and will be wearing my green tomorrow in their honor and you should too, since this has become a modern, secular celebration that everyone can enjoy.